Below you will find a collection of coaching resources developed or approved by Little League International. The Coach’s Box is a periodic publication of Little League International that provides a wide range on articles of interest to Little League coaches and managers. Topics covered include: dealing with players and parents, managing practices and games, player motivation, baseball skill development, character development, etc. 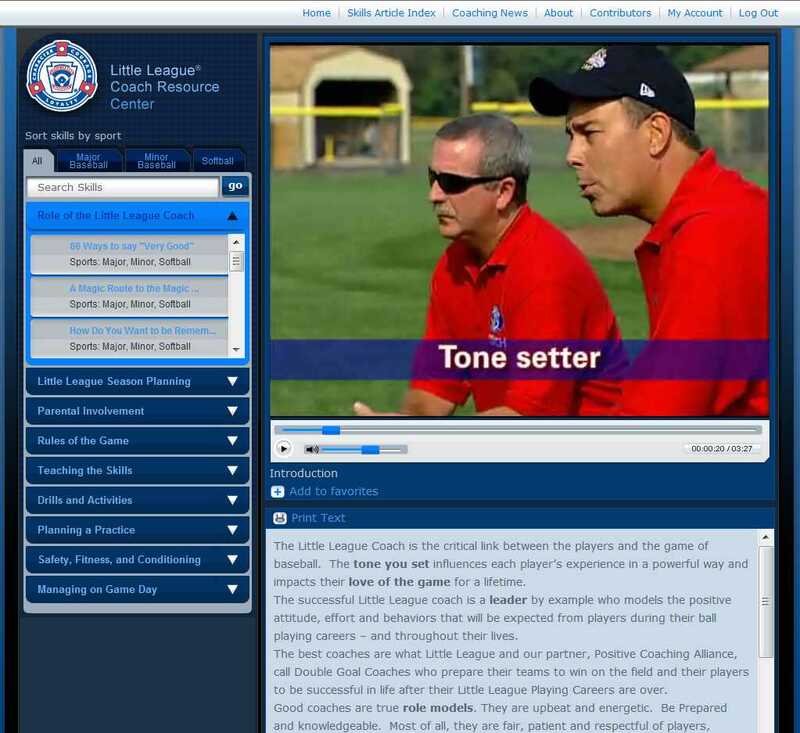 The Little League Online Coach Resource Center is an invaluable resource for a Little League coach. The Centre is an Internet-based multimedia training tool designed to enhance the instructional and teaching skills of coaches. The Center provides ideas and guidance on how to run a practice, teach the game, manage a team, and effectively communicate with players, parents and officials. The Little League Online Coach Resource Center is available free to registered Oakville Little League coaches. Oakville Little League coaches who would like to access the Center must register online with Little League International using the online Registration link provided on the first screen of the Center. As part of the registration process, a coach must enter the Authentication Code provided as part of your Oakville Little League Coaches Information Package the was handed out at the Coaching meeting for your division. If you have lost the Authentication Code, send an email to coach@ollb.org.